Lost/Supernatural: RL issues made me do this...Kate and Dean are together but Dean leaves for fear of her safety. Are recalled memories enough to save them? Lost: Just a little promo/trailer for the season finale, reworking the original audio from the season 1 promo. 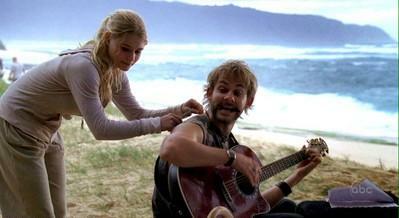 Lost: Rescued as one of the Oceanic 6, Juliet begins a relationship with Kate, and her testimony helps her avoid jail. But, when Ben returns saying they all have to go back, Kate begins to wonder if Juliet's loyalty is to her, or to the Others. Lost: Tribute to the Lost love connections. Lost: June 2010 Contest Submission. Jack and Kate are parted by their separate acts of courage. Lost: June 2010 contest 1st place winner! Lost: My (probably first of many) tribute to the Lost endgame couples. I really love this song for any Lost couple, so it made sense to make a multi-couple video, so I hope you all like it! Lost: June 2010 Contest Submission. Lost: A mostly season 6 Jack vid.